Read Help For Chronic Knee Pain by Dr. David Richey to learn more about Accident & Injury Center and our Chiropractic office in Anchorage, AK. 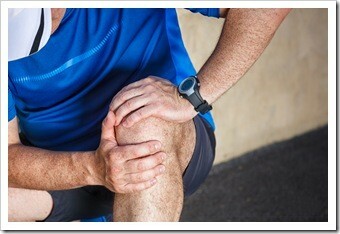 Old sports injuries, general wear and tear, past accidents, do you attribute any of these to your chronic knee pain? You suffer and either have decided to live with it or are searching for solutions where knee replacement surgery is your final and reluctant option. Remember, you are not alone. Many people like yourselves are relentlessly searching their knee pain condition online to find nonsurgical solutions. We are glad you searched and found us. Please take a moment to read about chronic knee conditions and a solution we may have for you. First, we must understand that there are a variety of causes for the knee pain inclusive of injury, overuse, or underlying conditions like arthritis. For the best proper treatment, the cause of the pain needs to be determined before any treatments can be offered as the root cause determine the best way to first help with the stiffness and inflammation. Arthritis – Generally tends to be the most widespread cause of knee pain and there is a selection of treatments on offer. Ligament Injuries – These can be caused or exacerbated during sports or athletic activities leading to discomfort and instability. Cartilage Injuries | Meniscal Tear – This is a common knee pain cause in young and old. Patellar Tendonitis – Tendonitis around the joint is most commonly of the patellar tendon, the large tendon over the front of the knee. Chondromalacia Patella – Chondromalacia is a softening of the cartilage which leads to under the kneecap, this is common among the 15-35-year-old age group. Dislocating Kneecap – This causes acute symptoms during the dislocation, but can also lead to chronic knee pain. Baker’s Cyst – This is a swelling in the rear of the joint, and is usually a sign of another underlying problem such as a meniscus tear. Bursitis – The most common bursa affected around the joint is that just above the kneecap, commonly this is found in people that kneel during their work. Plica Syndrome – This is an uncommon cause of knee pain and can be tricky to diagnose. Diagnosis is usually made at the time of an arthroscopy. Osgood-Schlatter Disease – This is a condition seen in adolescents and is due to irritation of the growth plate just at the front of the joint. Osteochondritis Dissecans – (OCD) is another condition seen in adolescents due to the growth of the bone around the joint. Gout – This is not a common cause for knee pain, but patients with a history of this condition may find it is the cause of knee pain. We Are Ready To Help You With Your Knee Pain! If you are ready to step back into the activities you have been avoiding due to your chronic knee pain, take the first pain-free step of scheduling a consultation with our office. Our team will run preform examinations to help find the cause of your discomfort and offer options for getting you back into life without knee pain!